Vinyl records are like artwork in more ways than one… And while not everyone recognizes this, Vinny certainly does. Who’s this Vinny character, anyway? Well, he’s a bit of a traditionalist. He prefers his music smooth, his Gin Portland 33, and evenings off. He has no desire to keep his record collection in a box under his bed. Vinny is a cool way to display your vinyl art with class and integrity. And his displays are anything but permanent (hence, being living art). 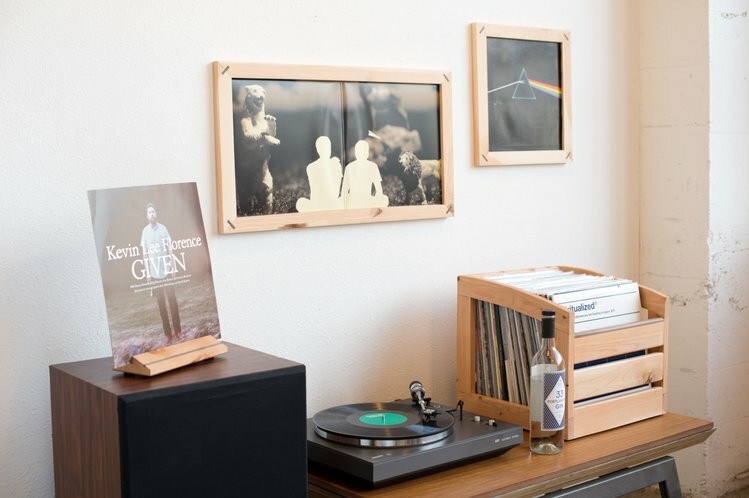 You can swap out your favorite record covers anytime you feel like shaking up the look of your bachelor pad and he currently has three display types to choose from (all handmade out of Juniper). These are the awesome visions of the company known as Plywerk.